They may not realise it, but they now take themselves much more seriously as managers. As a consequence, management is taken more seriously as a whole throughout the organisation. 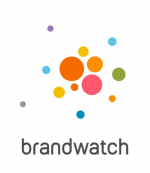 Brandwatch are a fast growth tech company with more than 300 staff, over 1,000 clients and offices in Brighton (HQ), San Francisco, New York, Berlin, Stuttgart and Singapore. In 2015, they had just received $33m investment for further expansion. They have recently purchased BuzzSumo, continuing their upward trajectory. But, the opportunity is huge if they can develop the leadership that helps their teams be responsive. We co-created a ten-month integrated leadership programme with the Brandwatch people team, and Wild Things, to take the initial 64 managers through a programme that would help them to lead with intuition. We wanted to create a self-supporting community of leaders, motivated by their own development, and that of their teams. We divided the group into five different cohorts and mixed the departments to break down some of the silos and also mixed up the personality types so they would have hands-on experience of understanding how to manage difference. We looked at their aspirations as leaders then helped them understand themselves and their impact managing different types of people. We ended with a peer support process to ensure they would be able to support each other effectively moving forwards. We set up monthly feedback sessions for any managers that wanted to attend, a different member of the C-Suite and the people team so that we could offer and receive suggestions while also maintaining buy-in at the highest level of the organisation. We noticed the shift increased expectations they had of themselves, and how they increasingly embraced new challenges as the programme progressed. At time of writing, the programme has been through two full iterations and awaits a third. The newest cohorts now benefit from the support of previous cohorts, and the learning and cultural shift. Keenly read internal blogs created by one of the managers about the ongoing learning they have had from the programme. The company has just purchased BuzzSumo.